The volunteer teams who translated the emergency preparedness guides with the finished product. 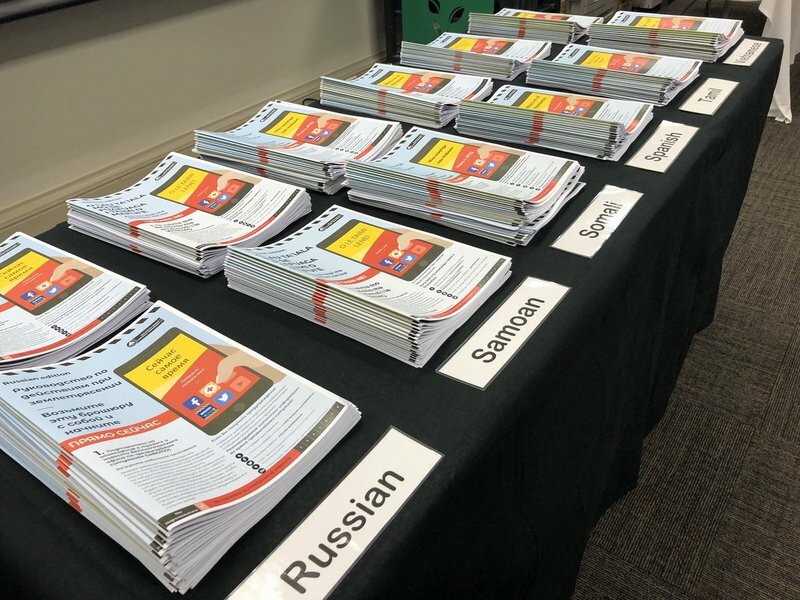 Diverse communities in New Zealand are better prepared for disasters after New Zealand Red Cross and the Wellington Regional Emergency Management Office (WREMO) launched multilingual emergency preparedness guides. The WREMO Earthquake Preparedness Guide was translated into 15 different languages by groups of volunteers. The project was completed over the course of 12 months with rigorous community engagement to ensure the translations were accurate and easy to understand. Approaching the project this way is a world first and multilingual communities around Wellington have enthusiastically joined in. “These translations mean diverse migrant and former refugee communities in New Zealand will have access to resources they need to be prepared before an emergency strikes,” says Jamuna Rotstein, Disaster Readiness and Resilience Manager at New Zealand Red Cross. “The volunteer translators have become ambassadors for emergency preparedness in their own communities. They’re very keen to get the work they’ve done out there so that their communities can be more resilient." The multilingual Earthquake Planning Guides were launched in August and are available online. “One of the learnings from the Christchurch Earthquakes in 2011 was that linguistically diverse communities weren’t receiving the safety messages, like the fact that it wasn’t safe to drink the tap water,” says Jamuna. If you’d like to access the guide, head to the WREMO website.